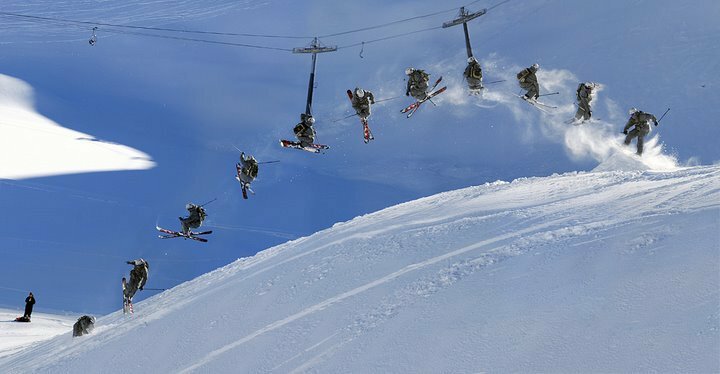 Day 4 of the Tignes Airwaves featured the first edition of the &ldquo;Back To Powder&rdquo; invitational created by Laurent Favre. 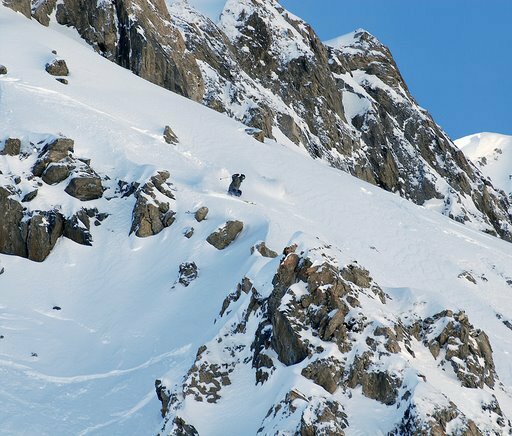 Conceived as a freeride/freestyle hybrid event in the backcountry, the idea is to bring the park skills of the riders to the natural environment of one of many jagged peaks around Tignes. 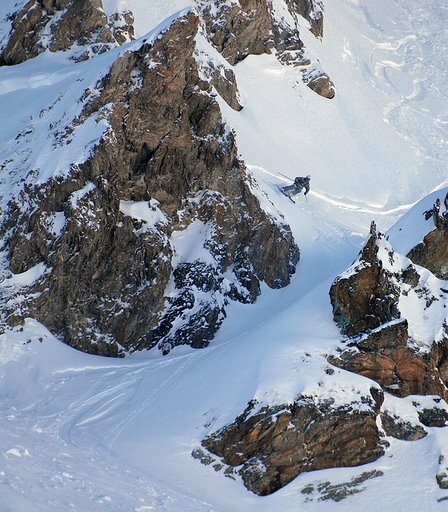 The riders drop in to a series of chutes at the top of a big bowl, through some pretty serious cliff/rock formations, and finish up with a choice of booters scattered around the lower part of the descent. 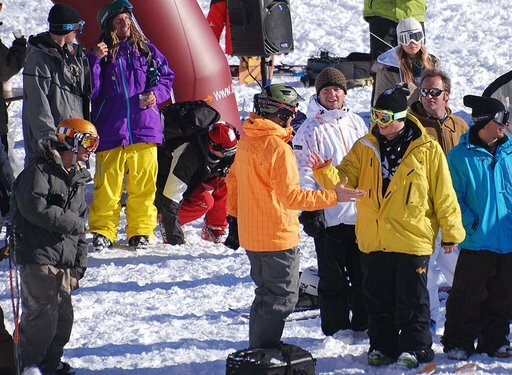 With a heli filming each run in addition to the filmers and camera crews scattered around the mountain, the riders themselves are the judges, reviewing the footage later in the evening to pick the winner. Like the rest of the event, the prize itself is also a bit different: Travel and accommodation for a week of surfing in Hawaii with the legendary Laird Hamilton. 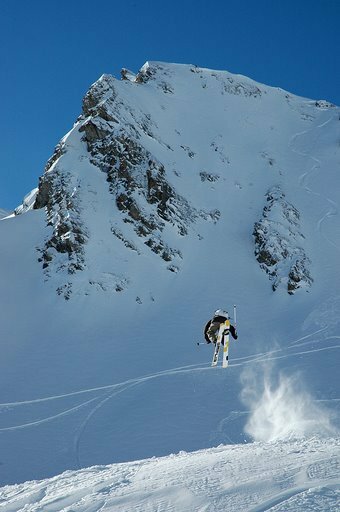 The invited skiers included Tanner Rainville, Julien Regnier, Fabien Maierhoffer, recently crowned King of Style Richard Permin, and the&nbsp;excellently named Kaj Zackrisson, a Salomon-sponsored Swede with a serious track record in freeride comps. 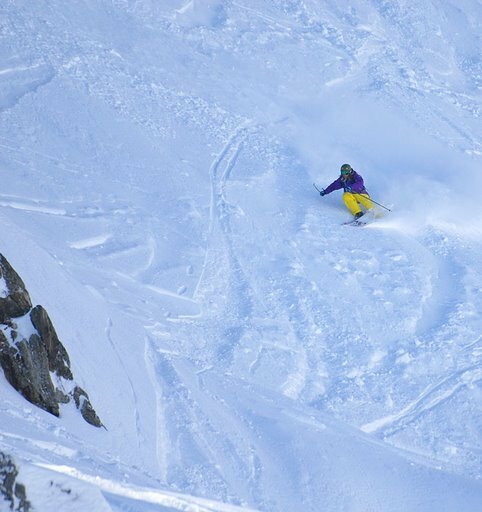 The two days since the last dump meant that the area had become tracked out, so iconic images of riders laying down fresh tracks and landing in virgin powder were unfortunately not going to be plentiful, especially in the lower section where the hits were built. 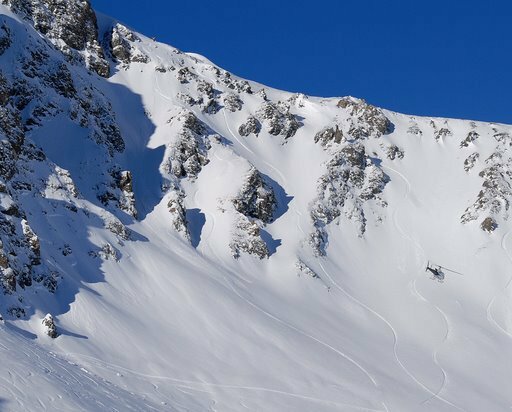 After a couple of riders received what looked suspiciously like heli drops (last we checked, heli skiing is illegal in France) on the far side of the bowl to score some fresh tracks for the TV networks, things kicked off. 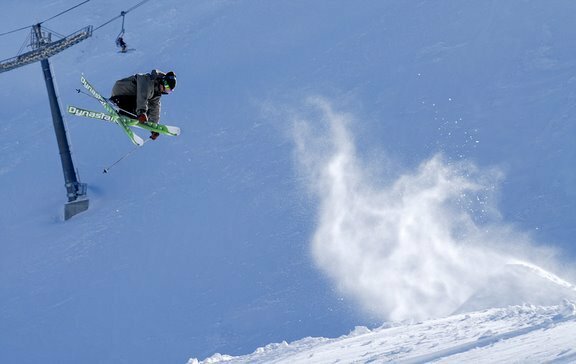 The first run down for most riders was wisely spent getting to know the gnarly bits at the top and scoping the tracked out landings on the bottom hits, and most popped 3's and saved the bigger stuff for their second run. An exception to the trend was the first run&nbsp;of Richard Permin, who after going big on the hip and pipe in previous days skied a very aggressive top section on the steeps, stomped a floaty 180 on the first hit,&nbsp;and rode out switch in the crud before before reverting for a cork 540 and a second switch landing in the pow on the next booter. 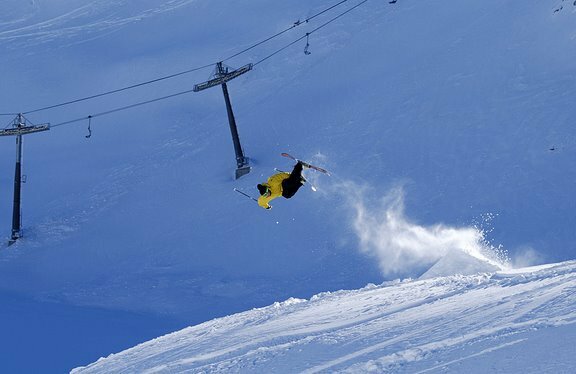 Run number two brought a few more interesting developments, with an aggressive and clean run skied by Julien Regnier&nbsp;without poles and switch pow/crud landings by Fabien Maierhoffer, Laurent Favre, and Amplid rider Mati Imberti. The biggest air of the day again went to Richard Permin with a cork 9 on the bottom hit. After checking the footage, the riders picked Kaj Zackricksson for the Hawaii trip. With ultra clean and aggressive top sections tied in nicely with a few unnaty 3's on the booters, the endurance advantage of his background as a freeride competitor showed. Overall, the first &ldquo;Back To Powder&rdquo; invitational was a&nbsp;solid idea and an interesting alternative to a slopestyle. 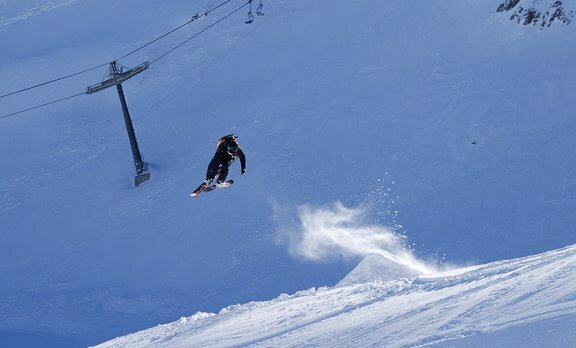 There is no question that flowing a run into a couple of booters after having just skied some chunky vert is a very different proposition than lapping a park or even filming a BC segment. 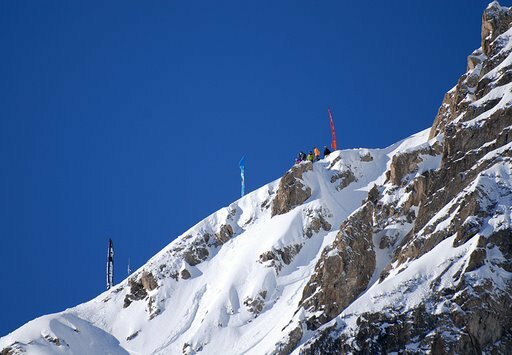 In the same vein as the K2 Back Nine, Laurent Favre is on the money with the trend of expanding freestyle to the rest of the mountain. No doubt the next one will be bigger and better. Keep it progressing, Lolo.